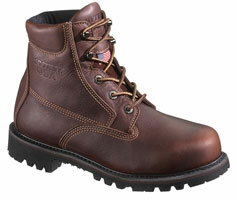 The 6-inch Industrial Chukka boot offers safety, comfort and durability. With a contoured fit for added protection, the boot provides lightweight functionality with 4-mm Neo-Tech and 2-mm Airmesh lining. Channel Air helps circulate air and adds breathability to keep workers cool and comfortable. 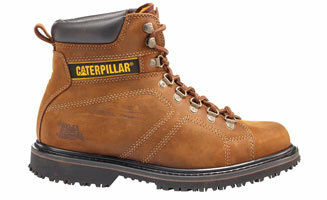 It also has an ASTM-approved chemical- and slip-resistant non-marking and self-cleaning outsole. 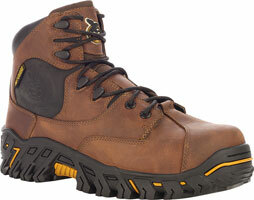 The Work Flex Boot series is available in soft and composite toe. 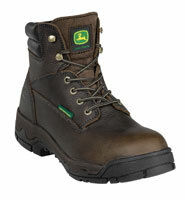 The boots are lightweight and feature a full-grain, oil-tanned leather upper and dual-density rubber outsole. 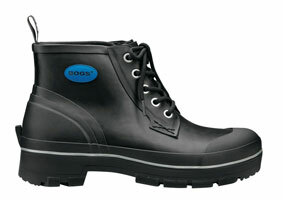 All Work Flex boots meet ASTM standards for electrical hazards and are oil-, chemical- and slip-resistant. They are available in 6- and 8-inch styles, Wellingtons, and waterproof and insulated styles. The Caterpillar Silverton SG work boot features a full-grain leather upper and SuperWelt construction that ensures forefoot flexibility. The boot is made with a SureGrip outsole that channels water, grease and oil away from the tread to provide superior traction. Its steel toe meets ASTM F2413-11 and F2412-11 standards. 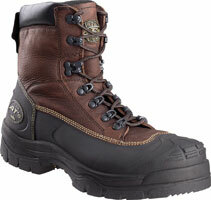 The Silverton SG has lace-up closures and metal eyelets for durability. The HYTEST USA line of work boots features full-grain leathers, lightweight midsoles and abrasion-resistant Vibram rubber outsoles. The boots are available in 6- and 8-inch steel toe styles and 6- and 8-inch steel toe styles with metatarsal guards featuring Poron XRD Extreme Impact protection guards. 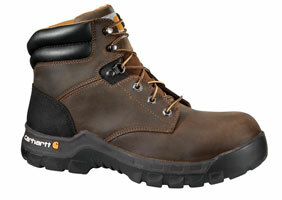 The Work Comfort Technology II Waterproof Boot is a lightweight and highly breathable 6-inch lace-up boot. An aluminum alloy toe makes the boot even more lightweight while providing ASTM F24013-11 standard impact resistance. A removable, antibacterial Airflow insert is breathable from head to toe. For added comfort, the Poron XRD Reactive Defense insert absorbs 90 percent of strike impact. This new line of leather footwear provides superior protection from harsh chemicals, temperatures, slippery conditions, and unexpected contact with abrasive surfaces or heavy machinery. Other features include Poron XRD Metatarsal Guard Extreme Impact protection and METprotect metatarsal protection. The Ironton collection style G6272 is an everyday work boot with high-technology safety features for heavy industrial settings. The boot features an ANTImpact internal met-guard that delivers flexibility not found in traditional met-guards and stiffens when contacted by heavy objects. Other safety features include a steel protective toe and Lenzi puncture-resistant plate in the outsole to combat sharp objects. The Winter-Tuff line of lightweight and flexible ice traction products includes hi-top and 10-inch boot styles that are 100 percent waterproof with 46 rust- and corrosion-resistant tungsten carbide studs to provide excellent slip resistance on ice and snow-packed surfaces. 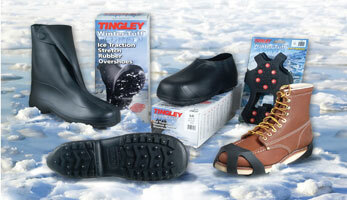 Winter-Tuff Ice Traction Spikes feature 20 carbon steel studs that dig into slippery surfaces to help keep you safe.